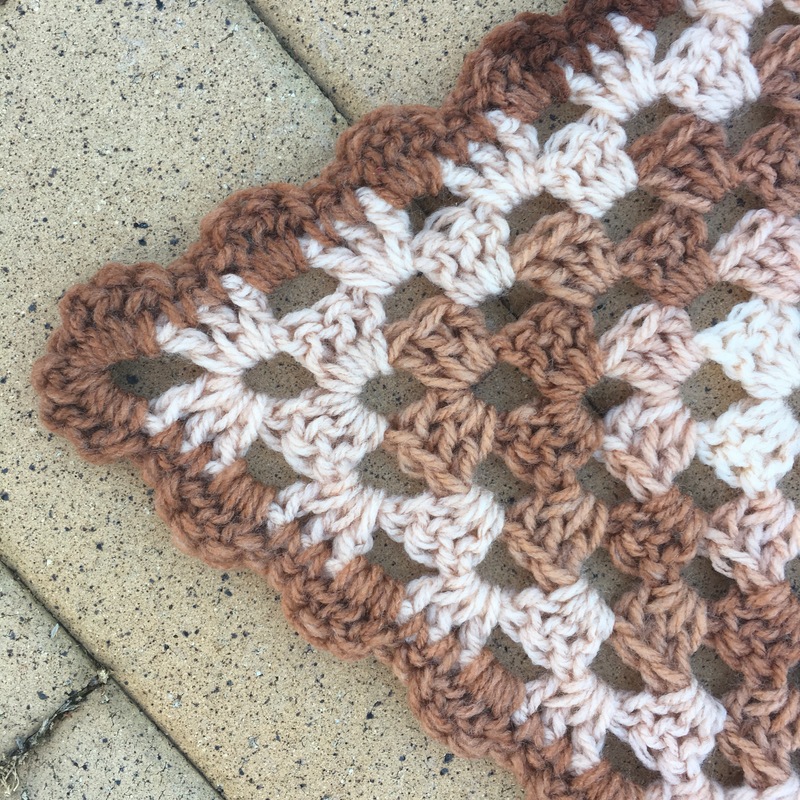 I used a really simple granny triangle pattern to make the base and finished it off with a scalloped edge. The yarn is really soft and lovely to work with! This crochet together really fast, and as my nana is only tiny I only used 1 ball of yarn. Hopefully she likes it and it’ll keep her warm during our winter.